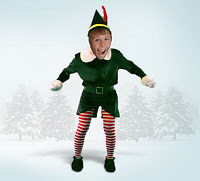 The Generator Blog: Elf Yourself Generator. This holiday, get what you've always wanted. The miraculous ability to turn yourself into an elf. Upload a picture of your face and then record your message.